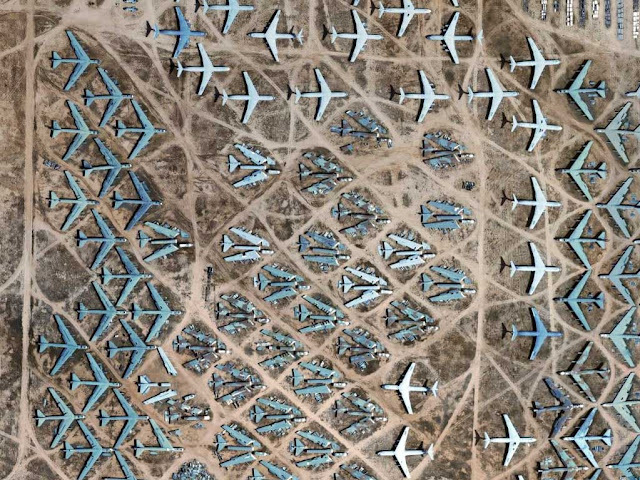 AMARC, or the Aerospace Maintenance And Regeneration Center, is a joint service facility managed by the US Air Force Material Command located in the town of Tucson, Arizona, USA. 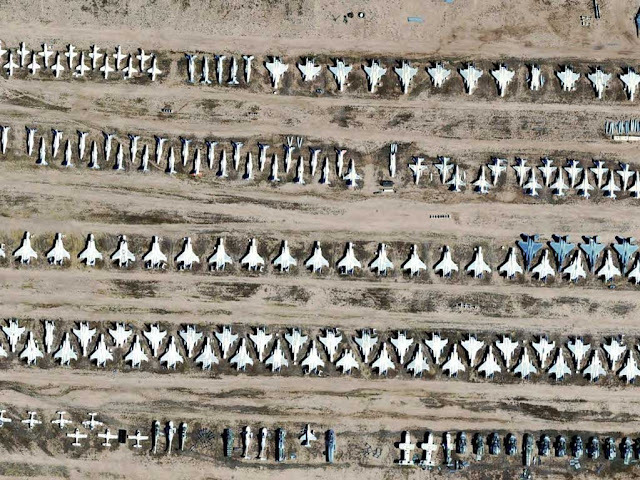 Often referred to as 'The Boneyard', AMARC is an aerospace storage and maintenance facility adjoining Davis-Monthan Air Force Base which provides a service to albranches of the US military (Air Force, Navy, Marines, Coast Guard and Army), as well as other national agencies. Currently controlling over 4,200 aircraft as well as many other types of military equipment, AMARC works very hard in promoting itself as not just a 'Boneyard' and takes every opportunity in explaining how it operates it's cost effective, tax saving operations. Many of the stored aircraft can be returned to an operational status in a short period of time and there is a continual process of anti-corrosion and re-preservation work which keeps the aircraft in a stable condition during their stay. 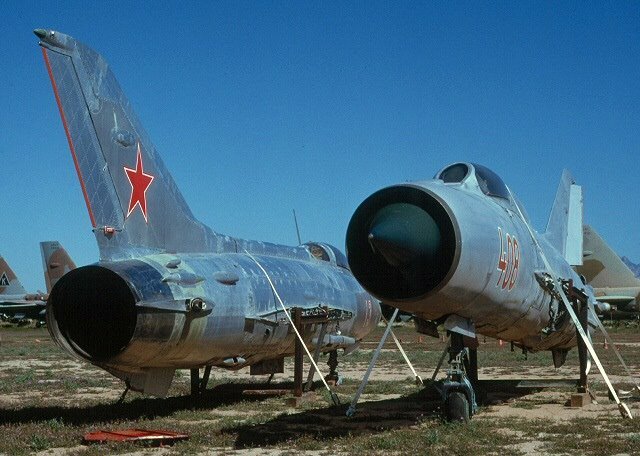 The reason the Boneyard reference exists is due to other work that AMARC carries out, that of reclamation of spare parts and the eventual disposal of spent airframes. 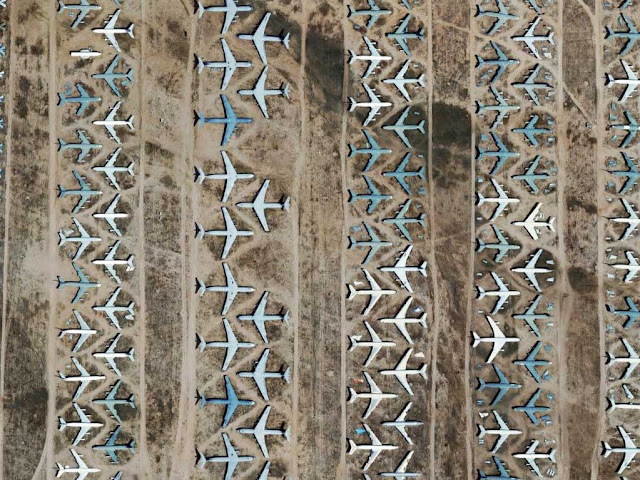 The Center can be divided into 2 distinct areas, the RIT (Reclamation Insurance Type) area located to the east side of Kolb Road is littered with aircraft in various states of completeness. 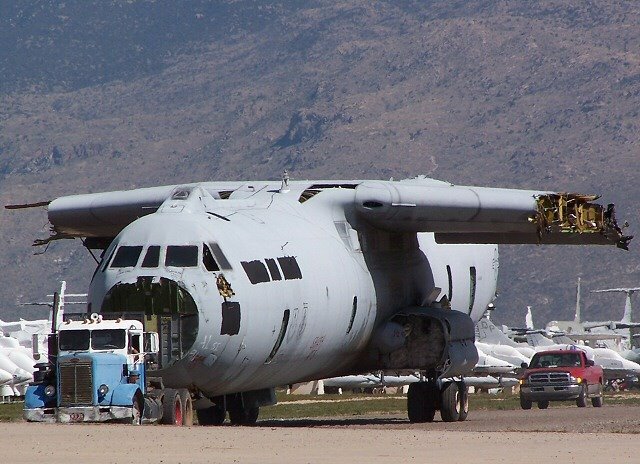 The junkyard appearance belies the fact that these aircraft are controlled by a process of careful part reclamation, both to a schedule and to ad-hoc requests. On careful examination many of these aircraft can be seen re-sealed to protect the remaining components from the dirt and heat. AMARC is located in the town of Tucson, Arizona in the USA. Arizona is a south, western state which borders Mexico. One of the reasons that AMARC is situated here is the dry, arid environment which exists in the area all year round. I'm amazed by the patterns that the planes creates, as if it was intended, when space optimization and efficiency are the main reasons. As a resident of Tucson, I am proud to say I have often visited this same place (behind Davis-Monthan AFB) throughout my childhood through today. It never ceases to amaze me. 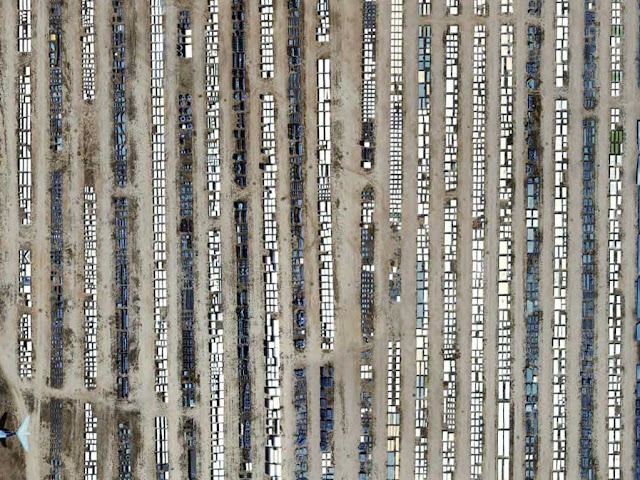 The shown picture is a mere fraction of what lies scattered throught the Sonora Desert and its boneyards. Really awesome. As resident of the Tucson area I have the opportunity to drive by and through, on Kolb Re.< this facility frequently. The Pima Air and Space Museum is located adjacent to the "Boneyard" across Valencia Road. Their is an extensive collection of aircraft that were pulled across the street from Davis-Montham AFB. A rare "Guppy" (B-29 modified to carry freight in its bulbous swing open front) is one of many unique aircraft on display next to B-52's, C-54's, Mig 15's, etc.